The Becker Brewing and Malting Company operated in Ogden, Utah from 1892 to 1964. For many years, it was a major brewery in Utah and the Intermountain West. A “ghost” sign advertising Becker’s Best Beer is located on the C.C. Keller Building, 25th Street. John S. Becker (1829- 1918) was born in Baden, Germany and worked there for some time in a brewery. However, he immigrated to the United States in 1849 to become one of the founding settlers of Winona, Minnesota. He began work as a brewmaster for William Schellhas. John married Katherine Fehr who was the daughter of one of Schellhas’ business partners. They had three sons Gustav L. (1868 - 1947), Louis A. Becker and Albert E. (1871 - 1961). Schellhas purchased land in Ogden, Utah, in 1890 and built the Schellhas Brewing Company, Gustav (“Gus”) bought the controlling interest in the company in 1892 and renamed it the Becker Brewing and Malting Company, serving as president, with Albert as vice-president, and John as secretary. Ogden was a key transportation hub for the region. This provided a constant customer base, from the workers on the railroad to people passing through. 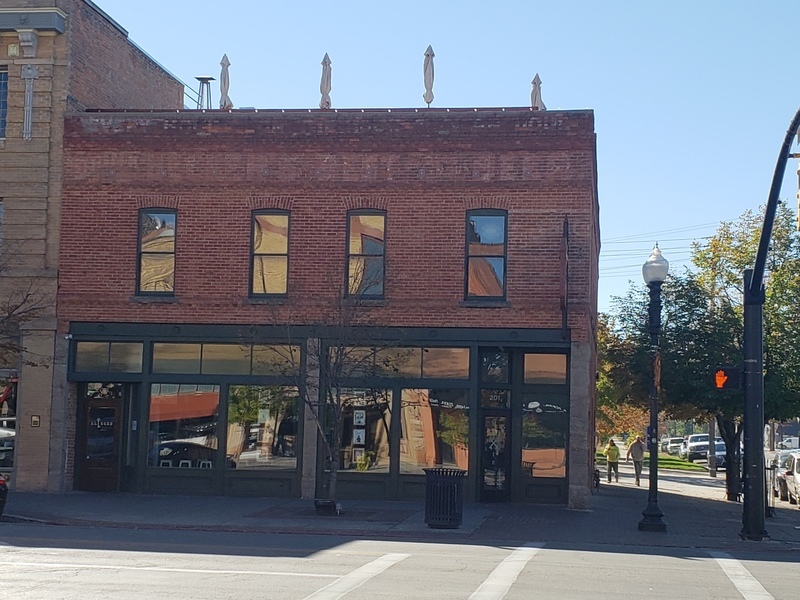 Ogden residents such as the Browning family, invested in the Brewery and in 1895 the company secured the rights to distribute Anheuser-Busch products in Utah. Becker saw continued success from the 1890’s to the 1900’s. In 1905, the Beckers began constructing a larger brewery and upgrading their brewing equipment. Their new brewery at the corner of 19th Street and Lincoln Avenue was constructed of brick and steel, rather than wood, and was furnished with the most modern machinery available. They constructed an ice plant, malt house, bottling house and cold storage facilities in addition to the brew house. The brewery’s footprint expanded from just one building to several large buildings that occupied 14 acres of land. The Volstead Act of 1920 banned the nationwide production, sale, and transportation of alcohol. 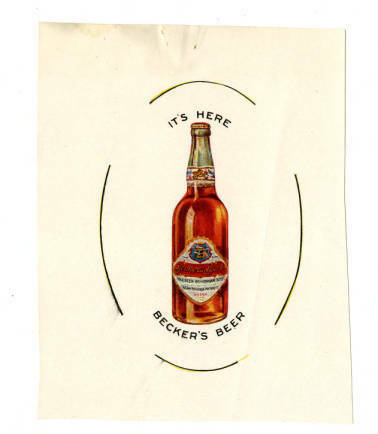 However, Becker operated throughout prohibition by producing a near-beer called Becco and bottling Coca-Cola products, selling ice, even starting a poultry-freezing business. 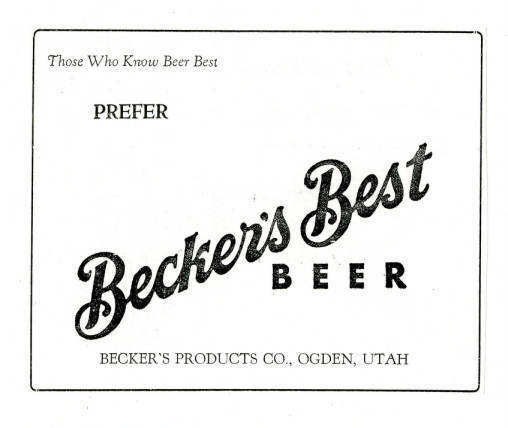 When Prohibition lifted in 1933, Becker was the only operational brewery left in Utah. Becker went back to producing alcoholic beverages. Sales continued steady during World War II but dropped during the 1950’s due to increase competition from massive Eastern breweries.The Ogden factory closed in 1964 and was torn down in 1984. The Keller Building, constructed in 1899, housed several rooming establishments, the most notorious being the Rose Rooms, a brothel run by Rose Davies in the 1940s. 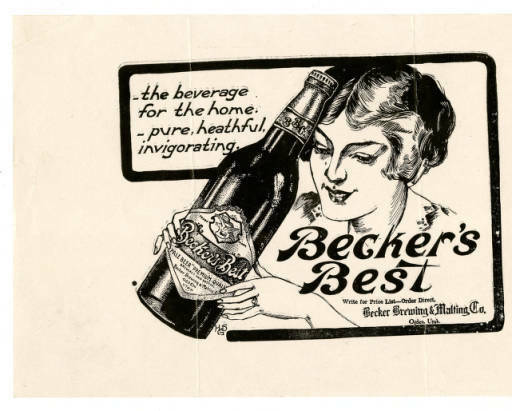 Advertising print for Becker's Best: Featuring an illustration of a woman holding a large bottle of Becker's Best beer, c. 1915. ~ Source: Used with permission from Utah State University, Merrill-Cazier Library, Call no. CAINEMSS31Addendum Series 03, Box 003, Folder 01, Item 029. Special Collections and Archive. ,” Intermountain Histories, accessed April 20, 2019, https://www.intermountainhistories.org/items/show/274. Markosian, Richard. Utah Stories website “A History of Beer in Utah,” available at: http://utahstories.com/2011/03/history-beer-utah/. Utah State University, University Libraries, Digital Exhibits website. 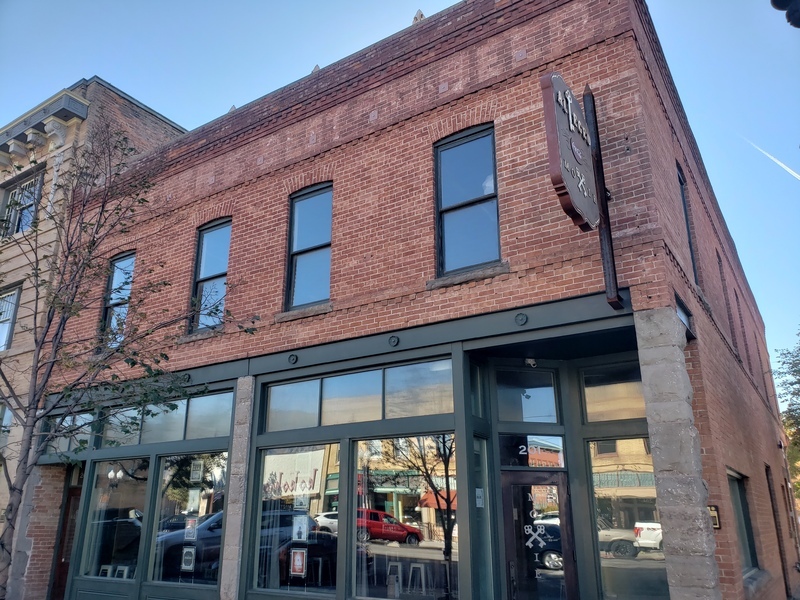 “Utah Brews: The Untapped Story of Ogden’s Becker Brewing and Malting Company,” available at http://exhibits.usu.edu/exhibits/show/beckerbrewing.